Install and use the scanner, copier and fax"
Four functions on one affordable machine then what more do you need to ask for? As if that is not enough, space and time you save to give you an option to run other errands making you move the business to the next level. 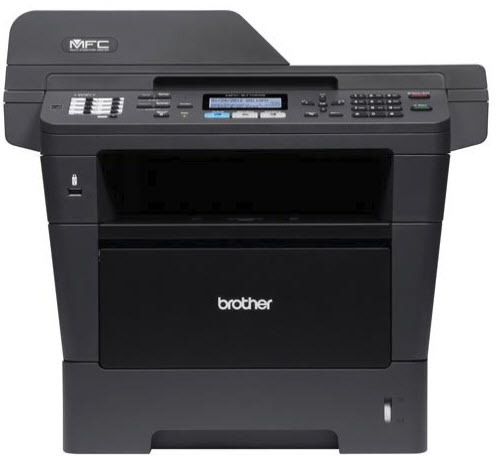 This compact size office equipment is a copier, scanner, printer, and a fax machine. With print and copy speed of 40 papers per minute, you are sure of fast and reliable output operations. It is a device that has both wireless and Ethernet connectivity interfaces allowing you to access information from various mobile devices. In addition, you can also virtually connect to many computers without any physical wire connections. The input tray has a capacity of 300 papers and it is also expandable to enhance durability. In fact, you can print from both sides of the paper saving you on paper and toner. Even the legal size paper and high-resolution paper can be produced on this machine. The laser power technology inbuilt in this system is the power behind the high performance and efficiency in the delivery of services. The touchscreen gives users easy navigation process through the internal and external functions. At the same time, it acts as a small monitor to deal with all the output operations. 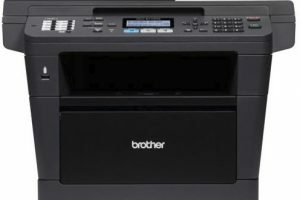 Brother MFC-8710DW Printer Driver is licensed as freeware for PC or laptop with Windows 32 bit and 64 bit operating system. It is in printers category and is available to all software users as a free download.